Performance management isn't just about rating employee performance. An effective performance management process supports employee engagement and development. By designing an effective process, and training managers and employees to use it, HR can play an important role in supporting the employee needs outlined by Gallup's Q12 statements used to measure employee engagement. Employee have clear goals that are linked to organizational goals, so they know what is expected of them and how they are contributing to the company's mission and purpose. Employee goals are SMART, so they have what they need to do their best. Employees get regular ongoing feedback on their performance that recognizes and encourages their work, and solicits their input. Employees are given the opportunity to learn and grow through performance based development plans. An effective performance management process gives employees clear goals, and gives them a context for their goals by linking them to higher level organizational goals. The link needs to be tangible and concrete. Managers shouldn't just expect their employees to make the connection they need to make it for them, right on their performance appraisal form. It's not enough to simply link an employee's goals to their manager's; they need to be linked to the organization's mission and strategy. This linking helps each employee know how important they and their role are to the company's success. Each of these elements contributes to employee engagement. But writing SMART goals isn't easy. In addition to providing training on writing SMART goals, HR can support them by building performance appraisal forms that include fields like: Title, description, dependencies, measures of success, start date, due date, etc. Having specific fields like this, right on the form, helps to remind managers to provide all the details needed to make a goal SMART. All these efforts help give employees the feedback and coaching they need to succeed and gives them a "voice" in the process. Learning activities are most effective when they're tied to employee performance. They need to either help address a performance gap, broaden or deepen and existing skill, or expand an employee's knowledge and expertise, all in practical ways that they can apply on the job. By ensuring that development planning is an integral part of the performance appraisal process, and even tying development plans to specific competencies and goals on the appraisal form, HR can help foster a culture of continuous development. What do you think? What else should HR do to foster engagement? Guest post by Stanley Janas, Director of Human Resources at Halogen Software. Stanley has more than 30 years HR experience in the private and public sectors. He is a regular contributor to the Halogen Software Employee Performance and Talent Management blog. I'm a fan of SMART goals — always have been — classics never go out of style. 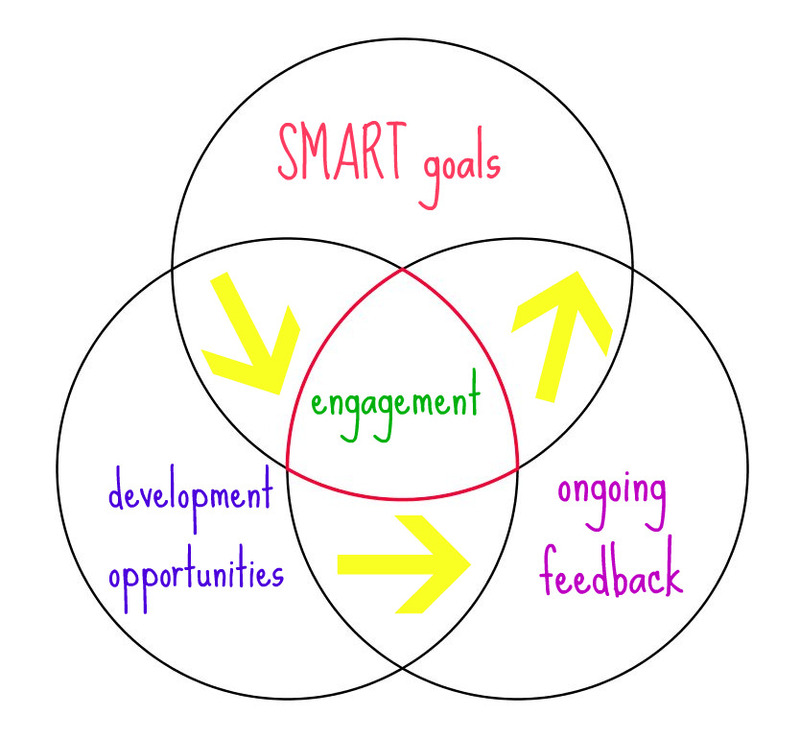 I rolled out a management training program that was solely based on SMART goals and providing feedback. There is one critical element to this entire process. Managers are the ones setting the goals for their employees and they are an integral part of the process. If managers are not receptive to the process, it won't work. HR should introduce the process and educate managers and employees on it; however, it can't be done without active participation from managers. HR is not doing periodic performance reviews for employees — the managers are. 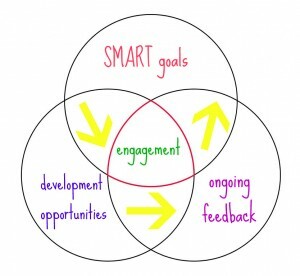 SMART goals is a common sense approach to performance management but instead of asking, “What else can HR do for employee engagement”, we should ask, “How can HR work with management to foster employee engagement.” HR should take ownership of the processes but the success of them depends on if they're being utilized for maximum impact. Unfortunately, it's a common struggle when HR is held accountable for processes that require more involvement from other key members of the organization. Kimberly, Karla absolutely spot on. HR can take a leadership role in these areas, but in the end managers are accountable for whether or not their teams goals are SMART, or their employees are receiving ongoing feedback and coaching. HR in this situation has the opportunity to set a leadership example with a well supported process that guides managers on how to be great coaches and ultimately positively influence those key engagement drivers.